SOIL is the mixture of minerals, organic matter, gases, liquids, and the myriad of organisms that together support plant life. It is a medium for plant growth, a means of water storage, a supply and purification, a modifier of the atmosphere of earth and is a habitat for organisms that take part in decomposition of organic matter and the creation of a habitat for new organisms. Soil is considered to be the skin of the earth with interfaces between the lithosphere, hydrosphere, atmosphere of earth and biosphere. Soil consists of a solid phase (minerals and organic matter) as well as a porous phase that holds gases and water. As soil resources serve as a basis for food security, the international community advocates for its sustainable and responsible use through different types of soil governance. The history of the study of soil is intimately tied to our urgent need to provide food for ourselves and forage for our animals. Throughout history, civilizations have prospered or declined as a function of the availability and productivity of their soils. The eastern Wheatbelt seems in trouble. Maybe it is losing its top soils and time to rebuild. Genetic modification of plants will not help if the soil cannot grow them. For optimum plant growth, the generalised content of soil components by volume should be roughly 50 per cent solids (45pc mineral and 5pc organic matter), and 50pc voids of which half is occupied by water and half by gas. The micronutrients essential for plant life, in their order of importance, include iron, copper, magnesium, manganese, zinc, boron, chlorine, nickel, sulphur, silicon, carbon and molybdenum. The term refers to plants’ needs, not to their abundance in soil. They are required in very small amounts but are essential to plant health in that most are required parts of some enzyme system which speeds up plants’ metabolisms. The heavy application of phosphates can cause a deficiency in zinc and iron by the formation of insoluble zinc and iron phosphates. Iron deficiency may also result from excessive amounts of heavy metals or calcium minerals (lime) in the soil. Nutrients which enhance the health but whose deficiency does not stop the life cycle of plants include strontium, vanadium, lanthanum and cerium. As their importance is evaluated they may be added to the list of essential plant nutrients. Topsoil depletion occurs when the nutrient-rich organic topsoil, which takes hundreds to thousands of years to build up under natural conditions, is eroded or depleted of its original organic material. Historically, many past civilizations’ collapses can be attributed to the depletion of the topsoil. Depletion may occur through a variety of other effects, including underuse of mineral inputs which leads to mining of the soil nutrient bank. However, when highly weathered, the soil loses much of its nutrients due to excessive leaching. Thus, highly weathered soils tend to be infertile soils. In WA deficiencies of zinc, copper, manganese, iron, sulphur, cobalt, nickel, chlorine, boron, magnesium, carbon and molybdenum were identified as limiting the growth of broadacre crops and pastures. Soils in WA are very old, highly weathered and deficient in many of the major nutrients and minerals supported by Moore, G (2001) Soil Guide, a Handbook for Understanding and Managing Agricultural soils. Agriculture Western Australia Bulletin No 4343. WA must see agriculture being sustainable as the mineral fertiliser’s parent company has been awarded a co-funded drilling campaign to further explore and develop this unique mineral resource for agriculture. The Elverdton Copper-Gold Mine ceased production in 1971 due to low metal prices, having produced 14,250 tonnes of copper and 650 kilograms of gold with silver credits. Geologists say the Elverdton mineralisation is unique because it contains no heavy metals. This project is registered with the Department of Mines and Petroleum as the Elverdton Mineral Fertiliser Project. With an inferred mineral fertiliser resource of 50 million tonnes and growing with drilling intersections of 3m@13.8pc cu and 4.3g/t au, 8.8m@5.6pc cu and 9.66g/t au. The Elverdton copper mine has been supplying WA’s farmers since 1997 as the copper mine was re-born as a source of soil health even being certified organic back in 2004. 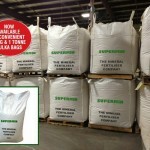 With the Mineral Fertilisers Company Supermin Formulation, Innovative Nutrients are chemically and physically designed for better availability to plants. 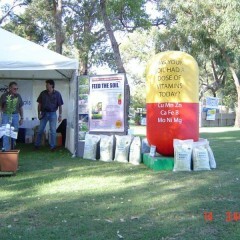 The particle size of the Supermin products are optimum for plant uptake, and the unique formulation helps nutrients avoid soil tie-up and remain plant available. 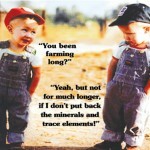 Replacing minerals does increase crop yields and pasture production. 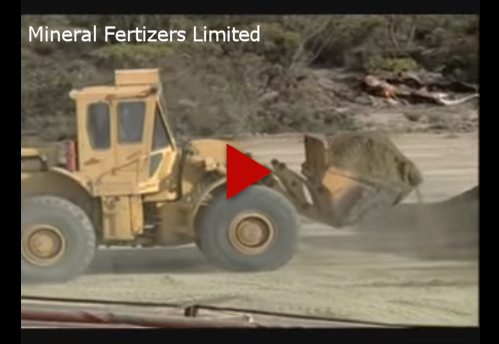 The Mineral Fertiliser Company can supply these minerals with a guarantee of no heavy metals. This unique mineral combination is only available from the Elverdton Copper-Gold Mine in WA.